Discussion in 'iPhone and iPad Games' started by MAS3D, Oct 22, 2018. 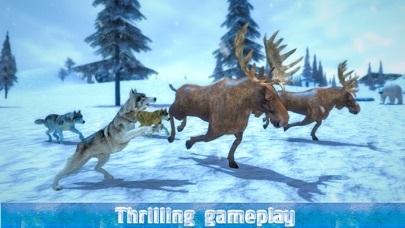 In arctic wild wolf simulator games 3D you will enjoy real wolf’s life with attack, fight, ultimate survival. You need food to maintain health of yourself and also for your mate and cubs. Be a ferocious Hunter and hunt down other jungle animals like Lion, tiger, bison, gazelle, hare, elephant and many more wild animals of the snowy savanna jungle. 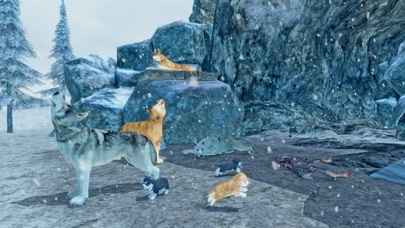 You have to raise your family and build your own clan of arctic wolves for attacking more powerfully with wolf games free where u can play as the wolf and has babies. You have multiple attacking features like ultimate pounce attack with power button to attack more quickly in wolf simulator with mating. + WAR SIMULATOR - 17 missions of brutal battle of survival and hunger with your arctic wolf in wide snowy jungle adventure. +WOLVES PACK - Build your clan of wild wolves and raise your wolf family, protect them from other wild animals. + CUSTOMIZATIONS - Modes to change Skin of Wolf to attack with different will powers together with your clan of arctic wolves or mate. +PACK - Together with your clan of arctic wolves or mate. + REALISTIC -Real wild wolf 3D animations and realistic arctic wolf behavior. + JUNGLE ANIMALS - Variety of other wild animals to hunt like sheep, chicken, deer, rabbit , other Wolves, Deer, Boar, and wild crocodile. +IN_APP – For coins and score purchase and unlock the new Awesome features as early as possible for more arctic visuals thrills and to be survived freely . Be on your marks to show wildness and furious angry beast Control your extreme ultimate wolf, search for food and fight for survival by gaining their meat with your clan of arctic wolves and family Fight. 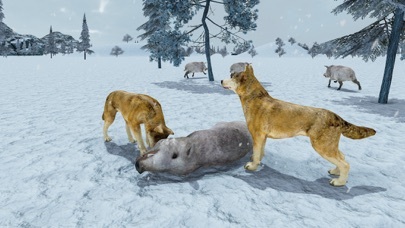 Download this NEW ARCTIC WOLF SIM 3D and start the brutal battle of hunger and life in harsh snowy weather. 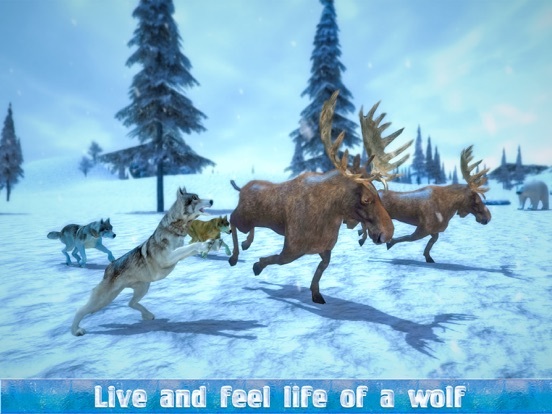 From the far zone of arctic circle , clan of wolves have raised and in this wolf simulator games you can raise your family and enjoy yourself by playing this wolf games free. 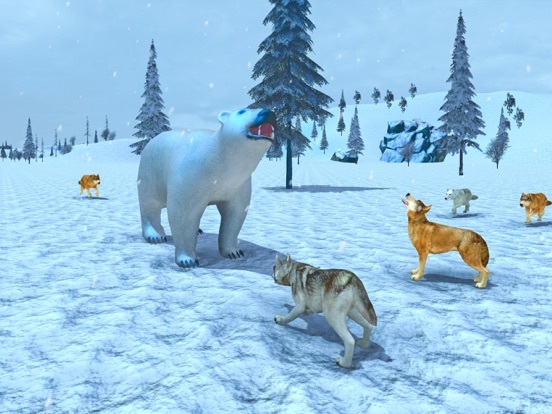 Control your ultimate arctic wolf beast in our arctic wolf battle simulator, Attack your hidden prey to survive in the snow of the jungle in our action packed wolf free games. 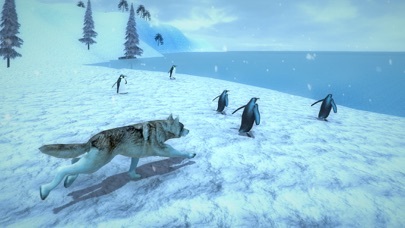 Arctic zone of wild wolf sim game is that range where u can play as the wolves were never been so entertaining ever before. 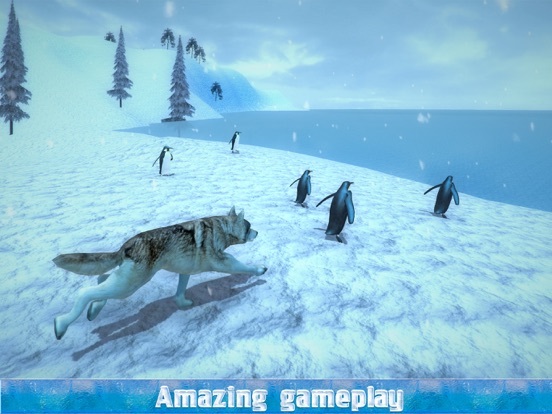 Explore the snowy Jungle and extremely cold weather of snow also look for a prey to attack with your ultimate wolf in this wolf simulator game . Be an extreme aggressive wolf and lead to make your family and clan of wolves, hunt other wild animals that come within your sight for your hunger or survival in newest wolf games free and become a part of this wolf games free where u can play as the wolf and has babies. 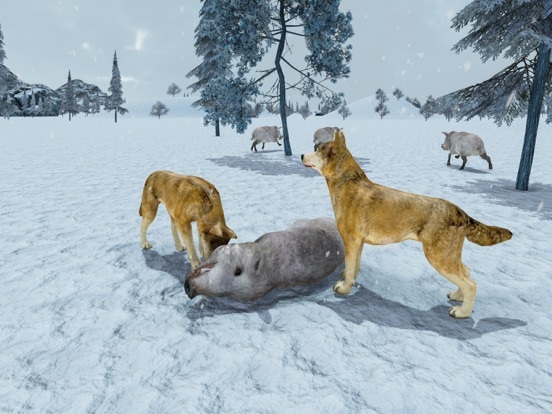 Play as realistic and survive in snowy jungle with ARCTIC WOLF SIM 3D Main GAME-PLAY OF ULTIMATE WOLF 3D SIMULATOR: In arctic wild wolf simulator games 3D you will enjoy real wolf’s life with attack, fight, ultimate survival. You need food to maintain health of yourself and also for your mate and cubs. Be a ferocious Hunter and hunt down other jungle animals like Lion, tiger, bison, gazelle, hare, elephant and many more wild animals of the snowy savanna jungle. 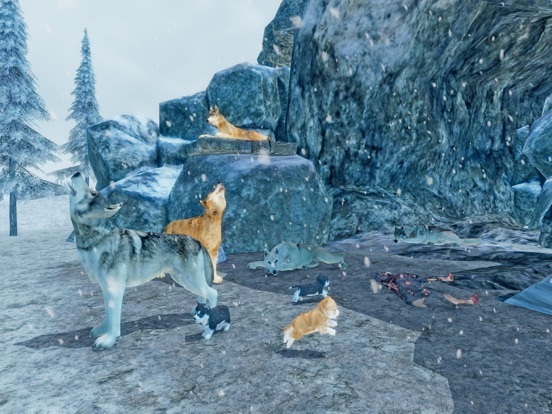 You have to raise your family and build your own clan of arctic wolves for attacking more powerfully with wolf games free where u can play as the wolf and has babies. You have multiple attacking features like ultimate pounce attack with power button to attack more quickly in wolf simulator with mating. Brand New Features of Arctic wolf: + WAR SIMULATOR - 17 missions of brutal battle of survival and hunger with your arctic wolf in wide snowy jungle adventure. +WOLVES PACK - Build your clan of wild wolves and raise your wolf family, protect them from other wild animals. + CUSTOMIZATIONS - Modes to change Skin of Wolf to attack with different will powers together with your clan of arctic wolves or mate. +PACK - Together with your clan of arctic wolves or mate. + REALISTIC -Real wild wolf 3D animations and realistic arctic wolf behavior. + JUNGLE ANIMALS - Variety of other wild animals to hunt like sheep, chicken, deer, rabbit , other Wolves, Deer, Boar, and wild crocodile. +IN_APP – For coins and score purchase and unlock the new Awesome features as early as possible for more arctic visuals thrills and to be survived freely . Be on your marks to show wildness and furious angry beast Control your extreme ultimate wolf, search for food and fight for survival by gaining their meat with your clan of arctic wolves and family Fight. 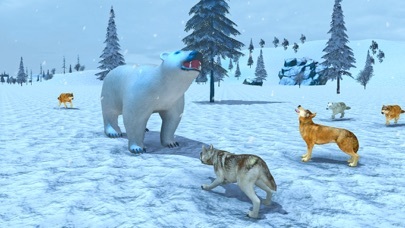 Download this NEW ARCTIC WOLF SIM 3D and start the brutal battle of hunger and life in harsh snowy weather.